You know about green juice and kombucha already, but what other healthy drinks are out there? A lot of new ones is the answer! And they’re as tasty as they are varied. Try ’em this spring! Could this be the new trend in probiotics? Probiotics plus more healthy ingredients? Seems like it. 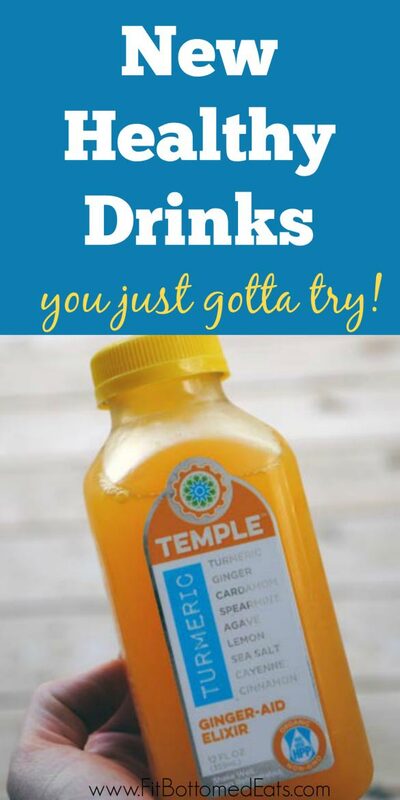 These “cleansing probiotic tonics” combine probiotics, 30 grams of apple cider vinegar and then super healthy extras like cinnamon or tumeric for a drink that’s super unique and super good for you. Low-calorie, dairy-free, gluten-free, vegan, certified organic, Non-GMO Project verified and Kosher, you can get them in the flavors Cinnamon, Kale Lemon, Tumeric Ginger, Red Beet and — if you’re in Southern Cali — Chili Ginger Lime. Time to make a road trip to SoCal! We usually think of turmeric in our curries, but turmeric is now popping up everywhere as a super healthy spice that you should have way more often than just when you order Indian take-out. And Temple Turmeric is doing it RIGHT. Creating all kinds of unique drinks that have turmeric in them in a flavorful but not overpowering way (read: these don’t taste like curry but are rather refreshing and light with a hint of turmeric), you can choose from light and refreshing flavors like Ginger-Aid Elixir (with a little heat and kick from the ginger) or heavier, more filling almost smoothie-type drinks like Mexican Chocolate (dessert worthy) and Golden Mylk (rich and creamy and such a treat!). When we first heard of this concept, we expected the drinks to taste a bit weird, but they are nothing but delicious. And after drinking them you really do feel great. Straight from the Amazon, a bottle of Sambazon has 100 calories and 100 acai berries in it. Not into just acai as a flavor? Try Strawberry + Lemon + Acai Berry or Pineapple + Coconut + Acai. All are powerhouses of nutrition with antioxidants, omega-3s and fiber. Sustainably sourced, too!